Discussion in 'Bargains and Deals' started by BobO'Link, Oct 17, 2018. A little odd expecting BF deals to start in a few hours, but if they have their usual sales AND the code works so much the better. DD has generally been the GO TO reliable sit for WARNER/CW TV Sets like Supernatural, BBT, Arrow, Gotham Vampire Diaries. Hopefully that continues sometime in the next 24 hrs -- last year those items popped up just before 5am ET. ^Thanks, David! I was just coming to post that info. There's also a similar sale on Universal titles. Got a few good buys with this WB sale and discount code combo. First two seasons of Rick and Morty on blu for under $9 each, the entire series (8 seasons) of The Vampire Diaries on blu for around $65, and the latest seasons of Supernatural and Arrow on blu for around $13 each. Some of the Warner/CW/DC TV sets are still on sale -- some are backordered or prices have gone back up. Many of the WAC items are still very good prices. Many of the 2017-mid2018 Warner 3D sets are excellent prices the last I looked. Link to list of titles on image. That's Wednesday, December 12th. I'd guess 11:59pm CST - although there's no end time given so it could be 11:59am. There are some really good prices on this one. Sadly, not every Olive title is included - it's a short list of 33 titles. The banner title, Olive's Signature edition of Invasion of the Body Snatchers is $13.74! It almost makes me wish I'd waited to order this one! ...unlike the $24.95 DVD of Jean Arthur's The Devil and Miss Jones. And one of them appears to be an older release of Invasion of the Body Snatchers. That's correct so people need to be careful if they're going to buy it from Deep Discount. 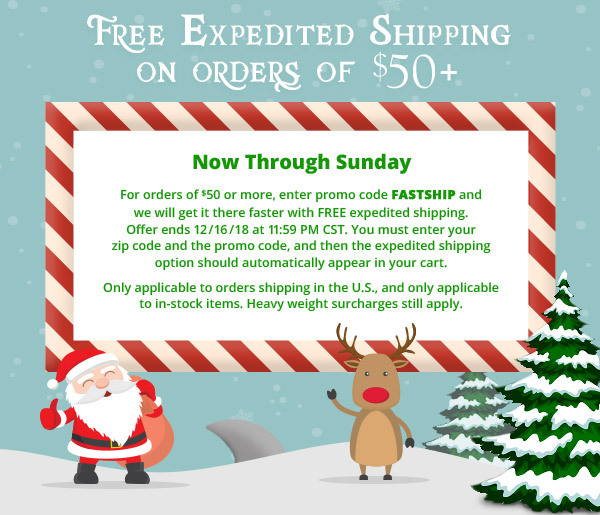 Coupon only valid TODAY 12/11/2018 until 11:59 PM CT. This is a one-time use coupon. *Video games, video game consoles and some turntables are excluded from the offer. Don't forget that free shipping starts at $25 - and that's *after* any coupon has been applied. B-ROLL and aPhil like this.